She’s young, vibrate and responsible for the careers of some of the NBA’s most recognizable retirees. If watched the NBA All-Star Game this weekend or if you’ve tuned into the NBA on TNT at anytime during the last six years, your experience was heavily influenced by this week’s Black History Month Woman Crush Wednesday, Tareia Williams. Williams, a graduate of Clark Atlanta University, is the Senior Publicist at Turner Sports. 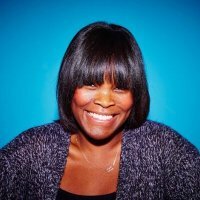 As the Senior Publicist she is responsible for managing and increasing brand awareness for brands such as NBA Digital and NCAA Digital; and for securing publicity opportunities to promote Turner’s award-winning talent, like Shaquille O’Neal, Kenny Smith and Greg Anthony. Prior to working at Turner Sports, Williams honed her public relations skills with the Boys & Girls Club of Atlanta, the Weather Channel and a variety of other organizations. When she’s not busy improving on world-renowned business and personal brands, Williams dedicates a significant amount of time to helping other women get access to opportunities in sports and public relations. She is the Communications Director for ColorComm, an organization dedicated to connecting like-minded women of color in communications. She also founded PoweR Program, a three-day boot camp for public relations students to get hands-on real world experience, at her alma mater. And as if that wasn’t enough, she serves as the Vice President, Digital/Social Media for Sports Task Force of the National Association of Black Journalist. For her influence on the way the globe experiences sports and her selfless efforts to reach back and pull up, Tareia Williams is our #BHMWCW. Be sure to keep up with Tareia on Twitter and Instagram. Thank you for all you do, Tareia!